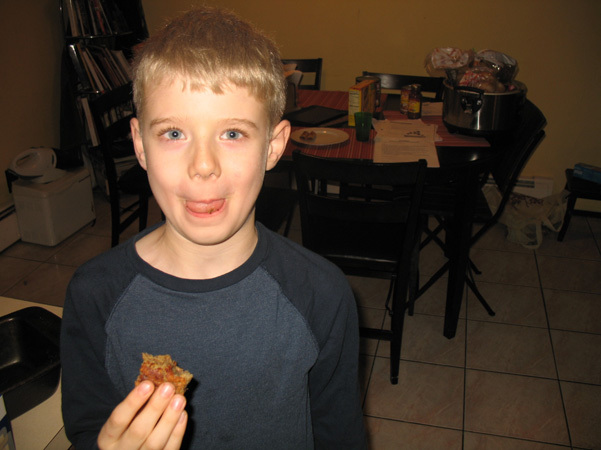 A blog about healthy baking, with occasional dips into decadence. 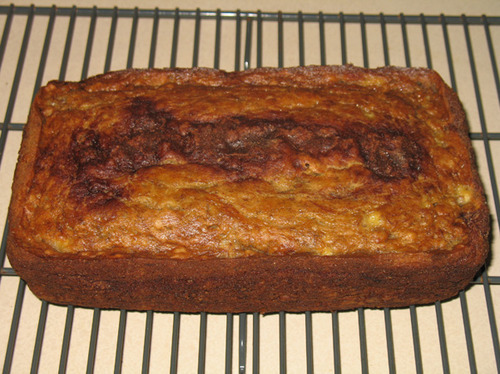 I finally did something with those brown bananas that have been sitting on the counter for days, disgusting all of us. Or maybe just me. I don’t know. I find them disgusting! 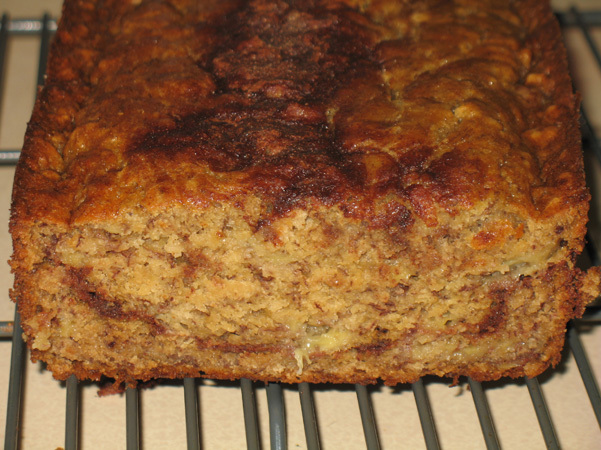 But I’d seen this lightened-up version of cinnamon swirl banana bread a while ago and wanted to try it out. Its time had come. 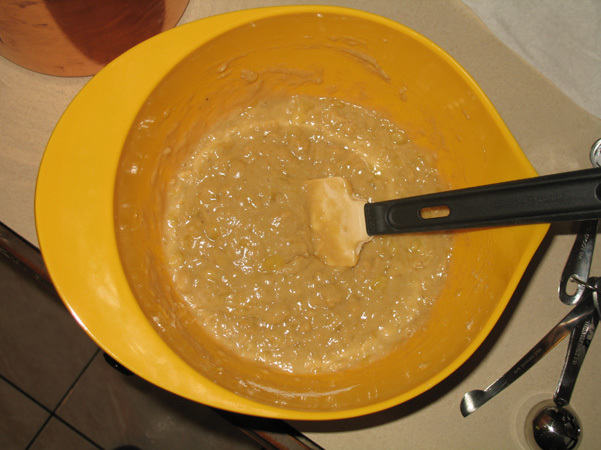 I was supposed to use three bananas, but I had four, and I was tired of looking at them, so I used all four and mashed, mashed, mashed. 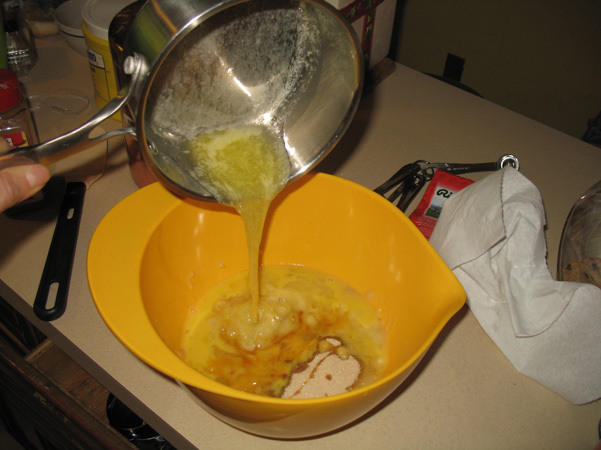 To that I added pure cane sugar (instead of white), a beaten egg, vanilla, and finally, a quarter cup of melted butter. I stirred it all together. The next step was a little odd, I though. 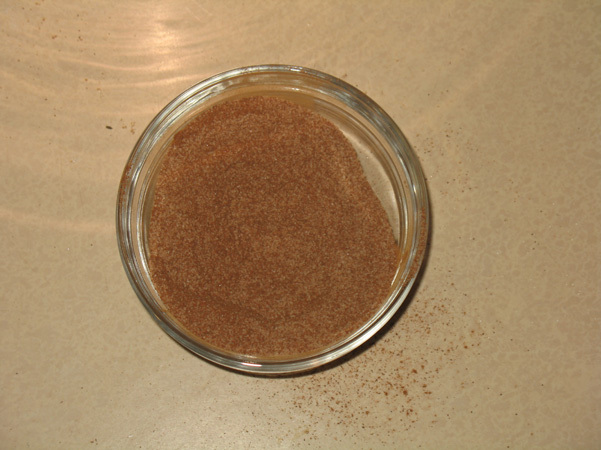 I sprinkled a teaspoon of baking soda over the mixture. I did the same with a dash of salt. 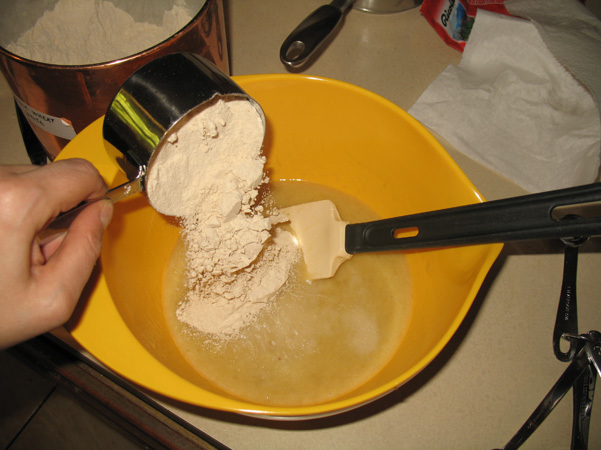 Then I added the flour. 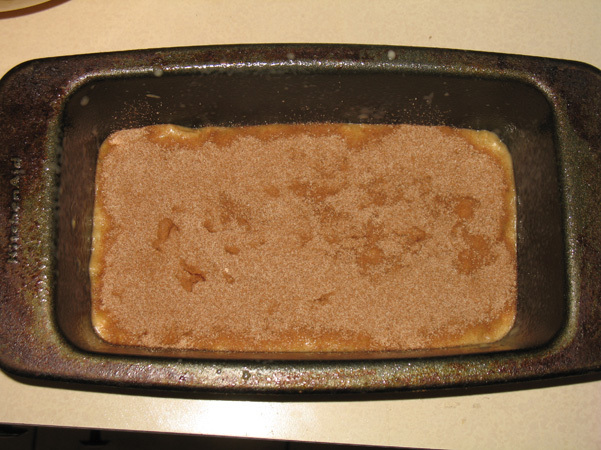 I poured half the batter into a loaf pan, then sprinkled a reasonably thick layer of cinnamon sugar on top. 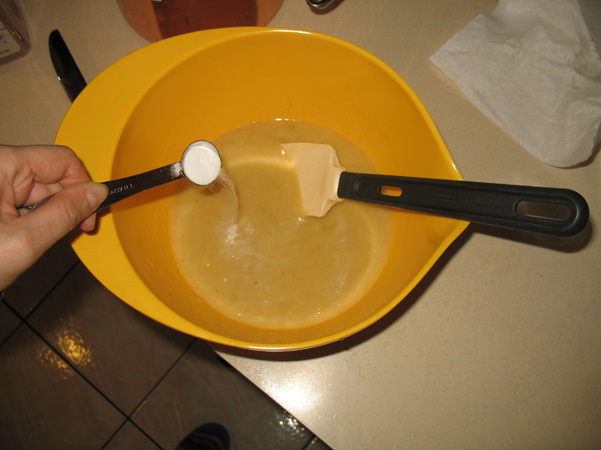 Then I added almost all the rest of the batter, and added more cinnamon sugar. 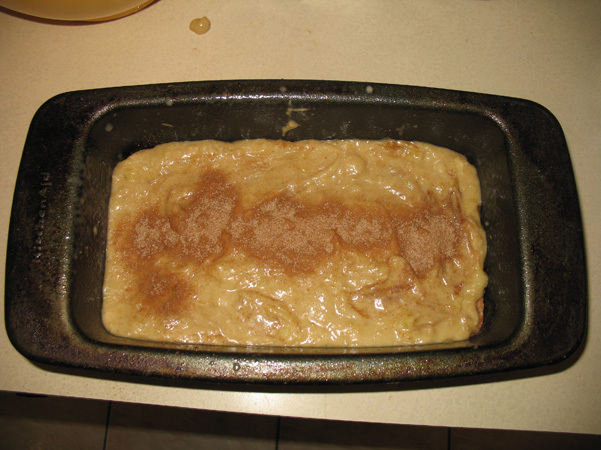 And then I poured on the rest of the batter, and sprinkled more cinnamon sugar down the middle in a line. It said to bake for 40-60 minutes, but mine was done at closer to 30. 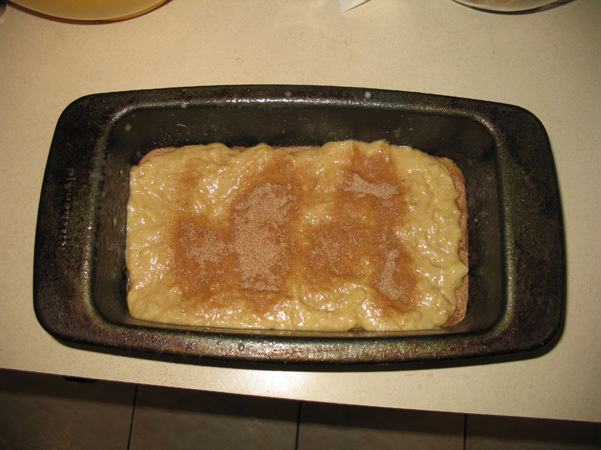 I let it sit in the pan for another 15 minutes or so, then flipped the pan and removed it. It smelled wonderful. And look how lovely it was inside when I cut it open. I made this last night, and there is just one thin slice of it left. You know, I loved the original recipe but it was very heavy on the Weight Watchers points, and this one is reasonable, and just as delicious. I think it’s best eaten the day after baking. and if you wanted to add a little decadence, I think mini chocolate chips, used sparingly, would be fantastic. 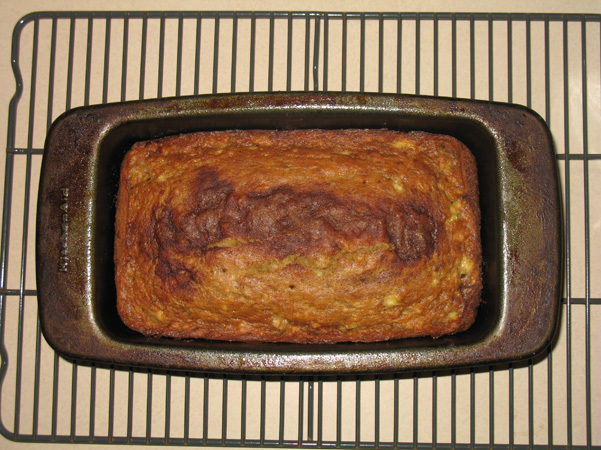 A blog about healthy baking, with occasional dips into decadence. 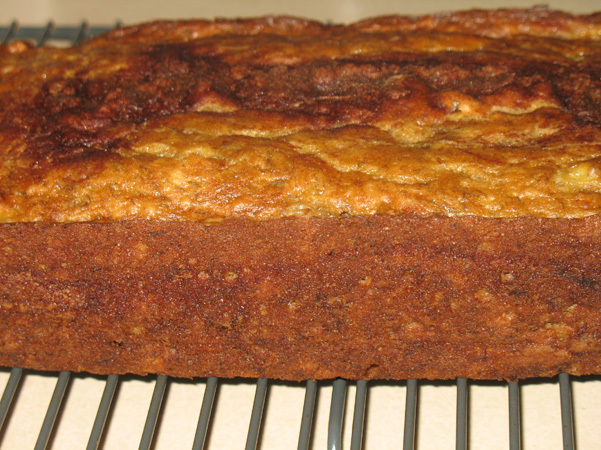 My mission: to make baked goods healthy without compromising on their deliciousness.